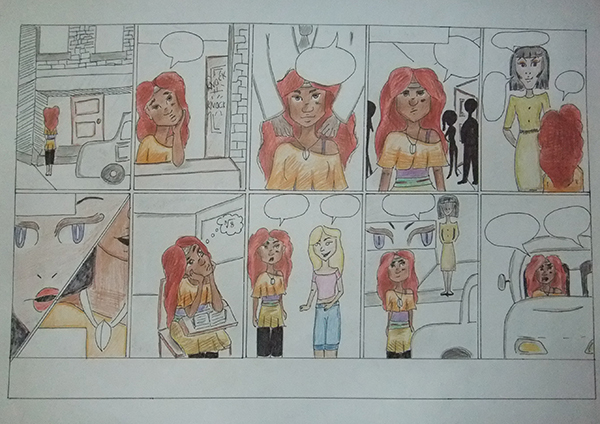 My daughter has finally completed her comics project for this term. It’s kind of disappointing that they were only given a limited time to finish the project. The professor should have given the pointers at the start of the school term so the students would have more time to prepare the requirement. With only a day to the project’s deadline, I decided to give my daughter a hand by coloring some of the pages (even if it means setting aside my own project about wholesale belts). My help isn’t a big thing, but I will do anything for my kids to assist them in their school load. This entry was posted in College life and tagged art project on April 15, 2014 by Yami.